If you have anything you wish the committee discuss on your behalf, please contact the committee who will gladly help you out. Johnsonville Community Centre Hall, 30 Moorefield Rd, Johnsonville, Wellington 6037. See map for directions. At the conclusion of the AGM, a light supper will be served, accompanied by wines from the Club’s cellar. No need to bring your tasting glasses, we will provide the Club glasses for this event. Amora Hotel, 70 Wakefield Street, Wellington, 6011. See map for directions. This tasting was postponed last year. It is now happening on Thursday 9 May at the Amora hotel. Tickets are $40. There are more details on the attached flyer. Stony Ridge Larose 2000 (1) bottle - A Bordeaux cabernet sauvignon dominant blend from the Waiheke Island producer. Larose is widely regarded as NZ’s best take on a Bordeaux blend. And it would want to be. If you buy this from the vineyard cellar, it will set you back an eye watering $320 for a bottle of the 2000 vintage. We managed to get hold of this little gem courtesy of a generous donation from a family who have a child with cancer. JK (John Key) Pinot Noir 2009 (1) bottle - There’s nothing our PM can’t do…. Junction Road Point Noir (2) bottles - Southern Hawkes Bay pinot noir made by former All Black prop John Ashworth. Chris Scott, Church Road Winemaker, will take you on a journey through this year’s vintage, including tastings directly from the winery. Focused around wine destined for Church Road McDonald Series and Church Road Reserve ranges, learn more about Church Road’s winemaking philosophy and what it takes to craft premium wines. 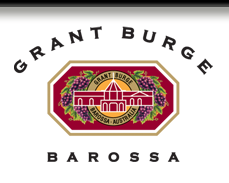 Your tour will conclude in the Church Road Cellar Door where you’ll have the opportunity to taste finished wines from previous vintages. 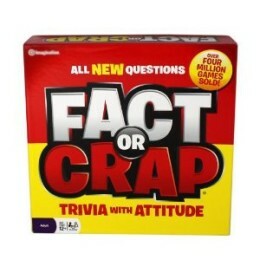 Johnsonville Community Centre Hall, 30 Moorefield Rd, Johnsonville, Wellington 6037 – Directions. Details will be provided closer to time. $35 and tickets are limited. 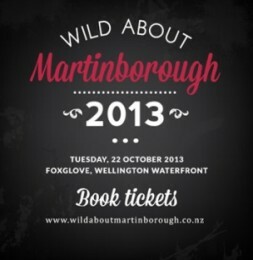 Buy tickets to the Wellington event. Meet Hawkes Bay winemakers and try the latest releases at this year's Hot Red Hawkes Bay wine event in Wellington. It's a great opportunity to chat with the winemakers at the annual wine expo from Hawkes Bay for trade, media and the public. It's your chance to taste over 170 of the finest selected wines from New Zealand's red wine capital. You couldn't see them all in one day anywhere else. Wellington, Wharewaka Function Centre on Wellingtons’ Waterfront - Directions. $35 and tickets are limited. Tickets can be purchased by calling 0800 634624 or by completing the form and either posting with your payment to Negociants NZ, PO Box 4494, Auckland 1140 or emailing with your credit card details or confirmation of bank deposit to trutherford@negociants.com. A fantastic opportunity to meet some top winemakers and to try some stunning wines from a number of New Zealand and Australia’s top wineries. Attend and be in to win a mixed dozen selection at each venue. The world's best vineyards all under one roof. Cost: Members & Guests - $55.00. Seats limited. Details: More details will be provided once known. 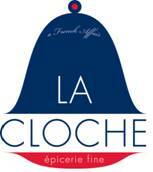 Visit La Cloche's website and see more about Wellington's finest French café. Founded in 1937, Brookfields Vineyards is Hawke's Bay's Oldest Boutique Winery. Visit Brookfields website to see what all the fuss is about. Venue: Johnsonville Community Centre Hall, 30 Moorefield Rd, Johnsonville, Wellington 6037 – Directions. Details: Macvine International Ltd is a boutique wine and specialty glassware Importer and wholesale distribution company. 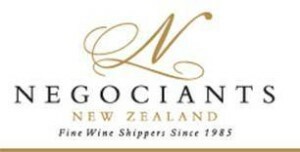 Macvine Internationals wine brands are all privately owned such as New Zealand’s own; 12,000 Miles – Wairarapa, Kennedy Point- Waiheke, Bridge Pa – Hawkes Bay, Argentina: Auka – Mendoza, France: Barron de Selliac – Provance to name a few. Macvine International Ltd imports Spiegelau (German Glassware) which is beautifully designed and resoundingly durable. Spiegelau has a beautiful range of fine stemware and tableware for everyday use. Details will be provided closer to the tasting. We invite you to discover the tastes and flavours of our latest releases, and some older favourites. The F.A.W.C! Summer Series kicks off on Friday November 1st with a spectacular launch party at Craggy Range Winery and finishes on Sunday 10th with the Carnivore Carnival at the Hawke’s Bay Races. Over fifty events will run across ten days and will include Masterclasses, degustation dinners, private chefs in homes, vertical tastings and much more. Resident F.A.W.C! ambassador Ray McVinnie will be in town to host a tasty selection of events including a sit down Locavore lunch at the Hawke’s Bay Farmers’ Market. 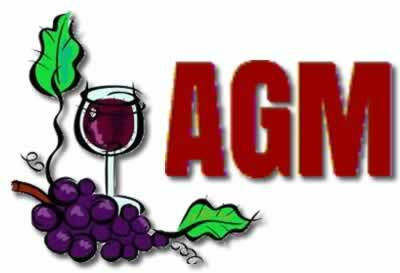 Charge: Members $10 Guests $12 - Numbers are limited so please reply to Robin’s Cellar Club Newsletter – October 2013 email. For the second year in a row, Mac with sidekick John Kemble with dazzle us with some of the seasons best wines and lighthearted entertainment. Advintage - Great wine deals you'll love buying. Cuba Street Bistro is situated at 203/205 Cuba Street, Te Aro. It is a smart and charming location in the heart of Wellington offering contemporary New Zealand cuisine made from the best locally sourced ingredients and couple this with a quality dining experience. Please see the menu following, looks really great. As with La Cloche in July we are looking to provide the Bistro with an indication of how many dishes of each item they will need to cater for. If you are going to the dinner please indicate your preference for dinner and dessert. Much appreciated. Anne is collecting them to give to the Lions organised Kan Tabs for Kids. No food lids or beer tops, please. Save and bring them to the next monthly meeting. Members will be aware of the lowering of drink/drive limits from December 2014. If unsure read the Land Transport Amendment Act (no 2) 2014. We ask members to be conscious of these limits. For those driving, water and some food are provided or think about a designated driver, taxi, uber or dial-a-driver to get you home safely.